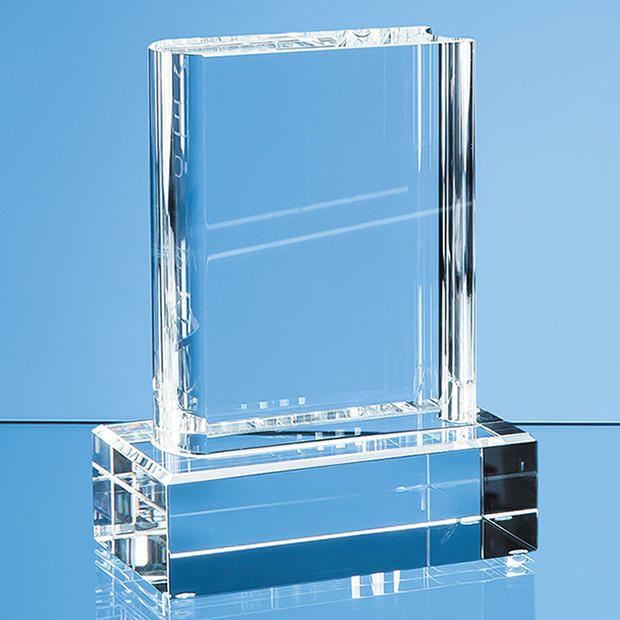 This absolutely clear optical crystal Book Award is ideal for personalisation for any occasion. . The book can be mounted on a 3" x 5" optical crystal base, as shown, Ì´Ì_and they are available separately. The book is supplied in a black foam lined presentation box.